Ready to train to be a midwife? Learn how to be a confident, convincing and credible applicant from start to finish. Start the journey to your career in midwifery today. Getting the help you need for such an important application makes perfect sense. But most people will apply for midwifery training without proper guidance. If they are lucky they’ll be invited to a selection day or interview, (although most aren’t). But most midwife hopefuls take the risk and do it alone, or they seek well-meaning but out-of-date advice in all the wrong places. That’s why so many fail the first time (or more, if you keep going and try again). We’ve written the ‘go to’ guide on becoming a midwife. 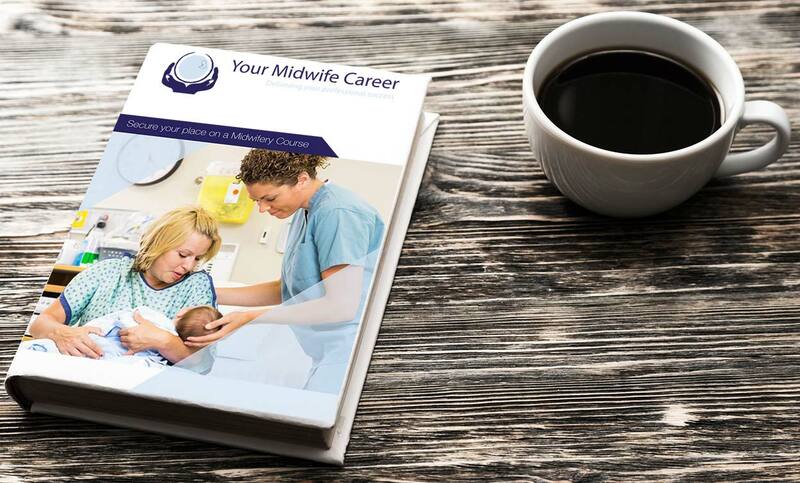 It covers everything you need to know to be selected at every stage of the midwifery recruitment process, with simple to follow instructions and interesting activities designed to help you learn and grow. The ‘Become a Midwife’ e-book is the most thoroughly researched and up-to-date help available. It is completely unique because it has been written by a highly qualified Midwife AND a Psychologist specialising in selection & assessment. What does this give you? A ‘how to’ book which guides you through what you need to know about midwifery AND shows you how to demonstrate the right behaviours to be a successful midwife. It’s a powerful combination! deliver an outstanding selection day performance. Once you have earned your uni place, it’s down to you to become the sort of midwife you have always aspired to be. We will give you the very best start there is. Our simple and enjoyable modules offer a time-saving way to tackle all the preparation you need for your application to become a midwife. – Learn all about maternity services and prove to the interview panel that you have the commitment to do your research. – Learn the secrets behind University Courses, including what you need to know and what you need to show! 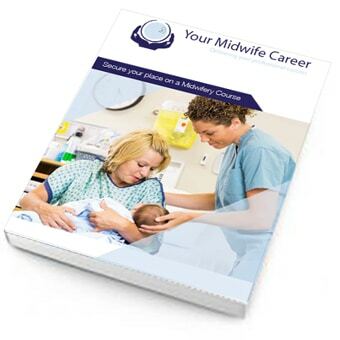 – Practice the Midwifery Interview with mock questions, example answers and step-by-step guidance on thinking on your feet to give impressive responses whatever you are asked! Save yourself hours of reading and research (where you still won’t be sure if you are doing it the right way!) We have covered everything you need to know, specific to THIS course and THIS career alone. It’s the specialised help, advice, information, support and guidance you need, all in one place! Do you know why this e-book is crucial for your career….? Everything you need to know about practicing midwifery will be covered on your degree course once you get your place as a trainee. Other courses will teach you things that you don’t need to know NOW, because you will be taught it later. What you do need to know is how to write a UCAS application which ‘sells’ you and how to wow the panel at the selection day. That’s it. We know how you can inspire the university recruiters about who you are as an individual, and why they should choose you. We share all this, and more, in the ‘Become a Midwife’ e-book. (PlUS, as this eBook is instantly downloadable you can start preparing even if your assessment is tomorrow! Not sure if this e-book is for you? Sometimes it’s hard to make a decision without seeing what you are buying first. We can make it easier for you to go ahead because if you don’t feel the information we provide is of any help to you (within 24 hours of buying it) then we will REFUND your money. I have read through the e-book and I have found it really helpful and interesting. I feel much more confident now and feel like I know a bit more about what to expect at my interviews. I think its a really good way to help people like myself who have never had university interviews before and it is set in out a way that is easy to read and understand. I am currently doing an access course, and applied for Midwifery. Following my interview I was offered a place at my first choice, at the University of Northampton. The book helped me to prepare for my interview – it flowed well, was very informative and the layout and content was on point. I’d definitely recommend it to others – it got me my place at university and I’m really pleased! Reading this book before my recent interviews was so helpful. I knew what the interviewers were looking for with each question and felt prepared to answer the different types of questions I was asked. I felt so much less nervous than with my first interview, and yesterday I received an offer from my first choice university! This book would be incredibly useful for anyone applying to midwifery, and I would definitely advise to read it before writing your personal statement to make full use of the great application module as well as all the amazing advice for the rest of the process.